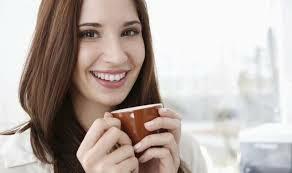 Can Drinking Coffee Help Fight Skin Cancer? Can coffee help fight skin cancer? The Journal of the National Cancer Institute recently took a look at the effects of caffeine intake. What they found is that people who drink coffee on a regular basis, four or more cups a day, had a 20% lower risk for developing the deadliest form of skin cancer, malignant melanoma, than those who drank less coffee. The same did not hold true for decaffeinated coffee drinkers. Malignant melanoma is the 5th most common cancer in the United States and the leading cause of skin cancer deaths. Coffee has been the subject of medical research quite a bit. In the past, researchers have found associations between coffee and protection against Alzheimer’s disease, Parkinson’s, depression, and diabetes. A lot of people drink coffee because it gives them more energy. They also think it helps take the weight off, but according to a report from the Mayo Clinic, drinking coffee and other caffeinated beverages won’t do you any good in reference to losing weight and keeping it off. Here’s the nitty-gritty directly from the experts at Mayo. Caffeine acts as a diuretic. It causes the body to temporarily retain less water, but there is nothing to suggest that these effects are permanent and the stimulant does nothing to reduce body fat. After this, the fact that drinking coffee actually puts more strain on the heart of people exercising, you quickly realize it doesn’t help with weight loss. The bottom line is if you want to drink coffee, do so in moderation, but definitely don’t do it to count on these so-called benefits to lose weight. It’s not going to help you lose weight. It’s not going to have that big of an effect. It is a daily ritual for many people. Wake up early. Grab a cup of coffee. And run on the treadmill, or get some sort of workout. But now, researchers suggest the amount of caffeine in just two cups of coffee can cut down the body’s ability to increase blood flow to the heart during exercise. Now this means that vital blood flow to the heart can be cut back when the body needs it most. The report is in the Journal of the American College of Cardiology. Caffeine did not affect heart blood flow when the participants were inactive. Caffeine may block certain receptors in the walls of blood vessels interfering with the normal signaling processes that cause blood vessels to dilate in response to exercise. Now, some people regard caffeine as a stimulant. The studies suggest it may not increase athletic performance. It also raises serious questions about people with heart problems drinking coffee before exercise. Johns Hopkins doctors want warning labels on caffeinated energy drinks. The scientists who study energy drinks say the beverages should have these labels displaying the caffeine content and warnings about possible health risks from too much caffeine. Some of the energy drinks contain as much as 14 cans of Coke. A regular 12 oz can has 35 mg of caffeine and a cup of coffee has between 80 and 150 mg. Energy drinks contain up to 500 mg of caffeine.